Whether you’re looking to delivery supplies, perform an aerial survey or streamline heavy cargo lifting and transportation, a helicopter is the worthy industry solution for you. Professional helicopter pilots, in full accordance with FAA regulations, regularly take to Arizona skies for the immediate and lasting benefit of all ventures. Given the weight and awkward sizing of common heating, ventilation and air conditioning units, Arizona has taken to a superior solution. Leverage an aerial advantage for all operations, with sustained heavy lifting helicopters optimized for your lifting, transportation and logistical needs. There’s a helicopter ready to make short work of your operations, no matter the project in mind. Together, helicopters from proven suppliers can overcome any challenge. Employ a chopper from the Bell Huey collection, for easy takeoff and hovering that satisfy deliveries, construction endeavors and more. The Sikorsky helicopter family offers the heavy-duty lifting capabilities you need, for precision HVAC unit placement and more. With a maximum speed eclipsing 140 miles per hour, the lightweight Bell 505 Jet Ranger X variant reaches remote areas in a fraction of the traditional time. Helicopters are typically employed for their speed and their power alike. 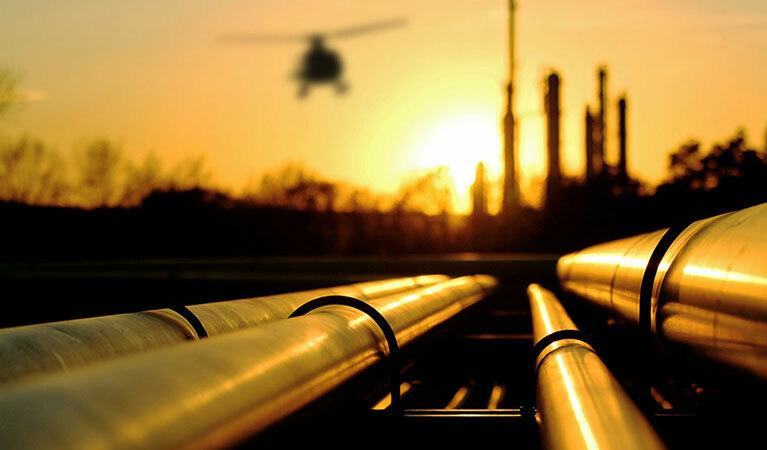 Helicopters, by definition reduce the time necessary to complete a wide variety of industrial tasks, and at the same time offer sustained heavy lifting capabilities in Arizona. Heavy, large payloads previously immovable are now en route to their final destination, even if that transportation requires pinpoint placement along the way. There’s no better example of this combination of power and precision than the employment of helicopter engineering for the placement of HVAC units. Depend on rotor aircraft to haul increased tonnage, to maneuver within restricted space environments, and to operate within financial parameters for successful helicopter heavy lifting, every time, according to specifications. 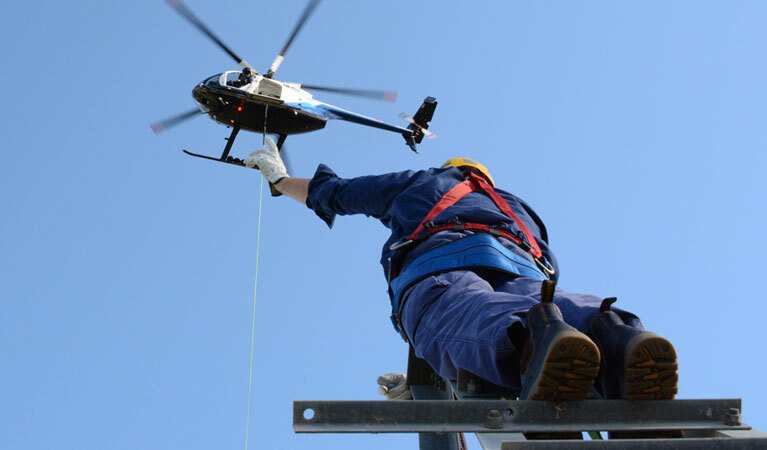 Employ sustained hovering capacities from dedicated helicopter providers in Arizona, to erect communication towers and antennas in residential and corporate settings. You can address aspects of cellular and satellite towers at your convenience, given a chopper’s flexibility to take off and land at a moment’s notice. Take your marketing and advertising endeavors literally to the next level, with advertising sign placement expedited by reliable helicopter providers in Arizona. No matter the size or overall weight of your signage, choppers can install your materials in prominent Arizona locations. Employ helicopter prowess and precision, for accurate signage placement. Helicopters can frequently arrive at difficult-to-reach locations, expertly avoiding ground obstacles and other natural anomalies and arriving on site in a fraction of the traditional time. Remote areas are also well within your reach, given the speed and the precision with which a helicopter operates on a regular basis. Facilitate any and all construction endeavors with enhanced choppers, whether it’s the lifting capabilities, personnel transportation or freight movement. Helicopters also accomplish on-time delivery of supplies in record time, especially supplies that would take extraordinary efforts to otherwise deliver. Deliver materials of extensive sizes or weights with accuracy. Contact one of our customer service representatives today, agents available every hour of every day to answer any of your remaining questions, and to help you schedule a helicopter heavy lift package. You can also fill out a customer contact form online, for a response within 24 hours.